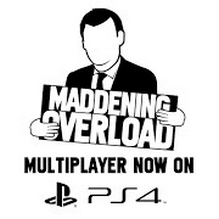 Maddening Overload was likely delisted from PlayStation 4 between May and July of 2018. Based on PlayStation Blog comments and Trophy data, this seems to be the last window in which the game was available for sale. In January of 2016 programmer and Maddening creator, Allison JJ, replied to a comment on her personal site about the game and confirmed that YoYo Games owned all of the “Maddening” titles. She left the company in August of 2015, shortly after Maddening Overload’s release and the addition of multiplayer. The iOS versions of “Maddening” have also been delisted. It is possible that the games were removed from sale as YoYo Games had no programmer available to update the titles. “Maddening Overload is a fast-paced endless runner where the protagonist must escape from the ever-encroaching wall of his own insanity. Run as fast as you can while dodging pitfalls, spikes and dead-ends which all can prove fatal.